Tequila……It Makes Me Happy ! 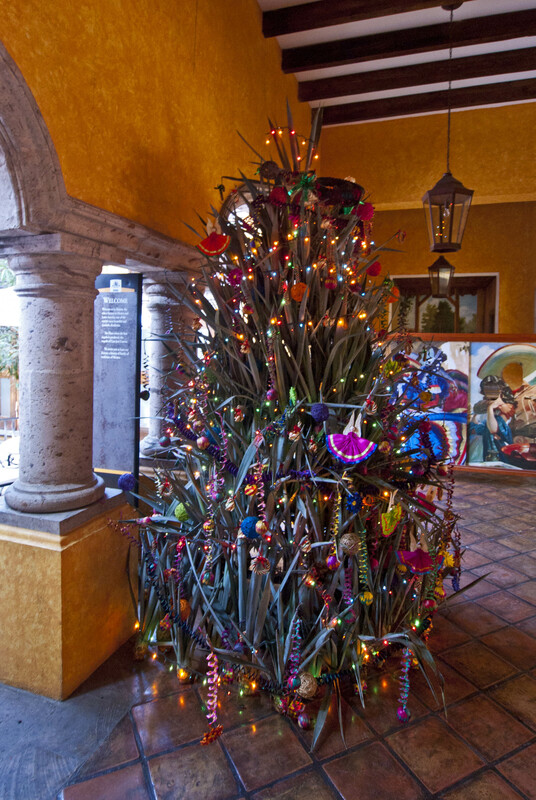 Across the state border from Tepic in Jalisco lies Tequila – the birthplace of the legendary drink. We thought that this must be worth checking out! The most commercial and most touristy Tequila manufacturer in town is Jose Cuervo – and this is the Tequila we are most familiar with from home. They call their factory Mundo Cuervo (Cuervo World) and it is very flashy and well set up for tourists. 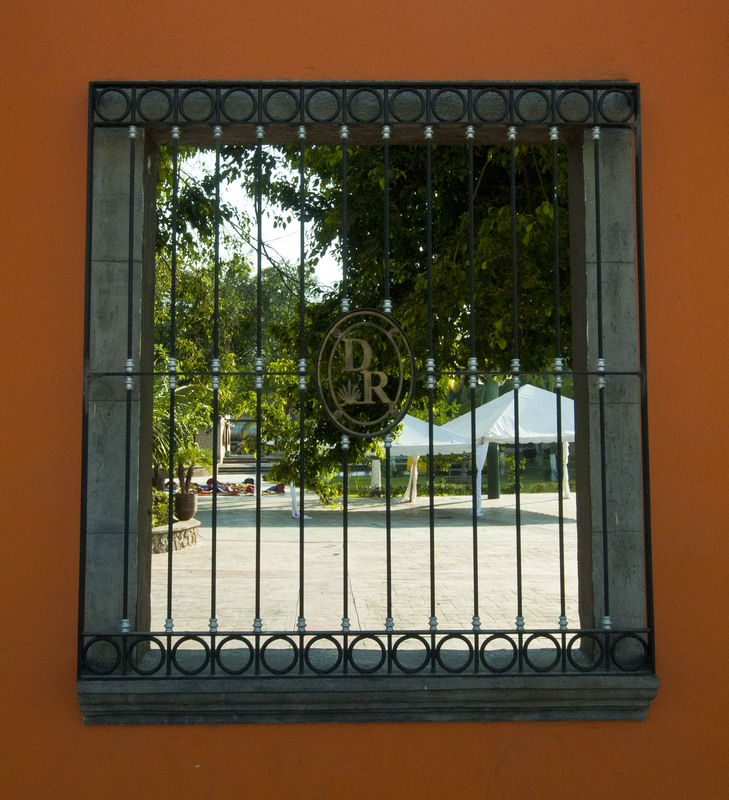 We decided this wasn’t for us and headed to Rubio – a relative newcomer to the Tequila world but well respected and producing some great drinks. We managed to arrange a tour of the factory – in English – which took a while as they had to call someone in who spoke English but this gave us more time to wander around the town and also meant that when we went back for the tour, we were the only ones on it. It started with us learning that Tequila is a protected name and can only be applied to drinks made in the Mexican states of Jalisco, Guanajuato, Michoacan, Nayarit and Tamaulipas. 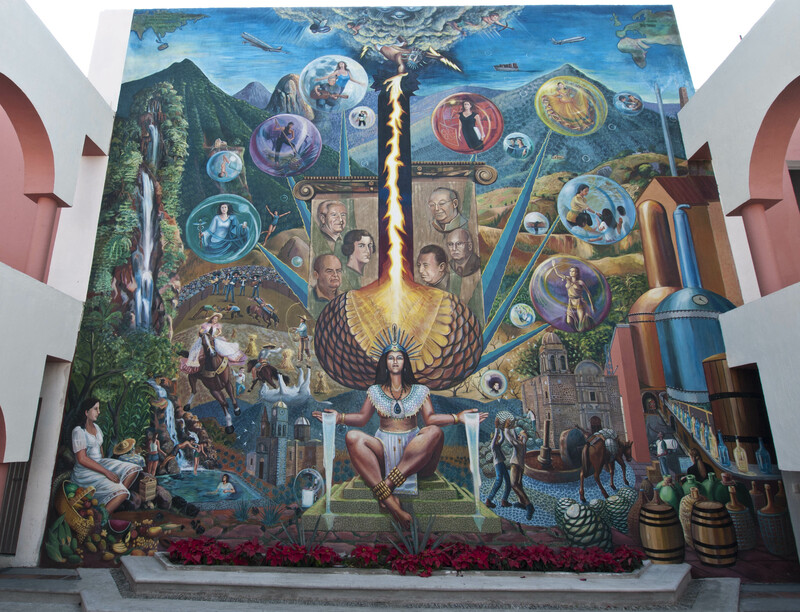 Tequila is primarily produced in Jalisco though and the centre of production is Tequila itself. Secondly we learnt that Tequila is made from the fruit of the Blue Agave plant and that any other type of Agave does not produce Tequila. 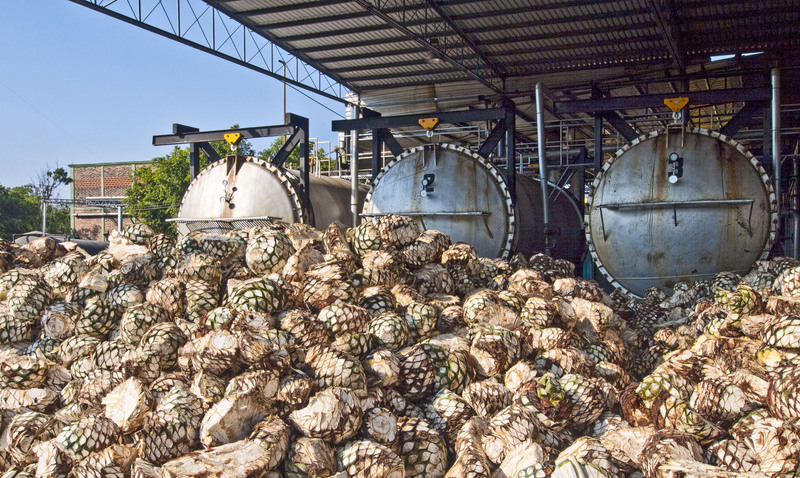 1) The Blue Agave pineapples are cooked in an oven for 24 hours to produce honey like substance and then the pulp is pressed to extract the juice. The Agave honey is used for a variety of things but the juice is then transferred to the next process. 2) The Juice is placed in big fermentation vats – just like beer – along with yeast and is fermented. 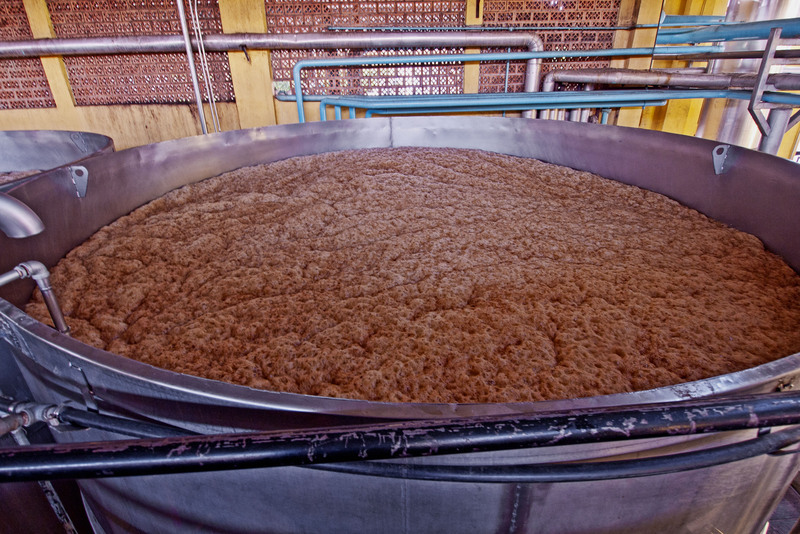 This fermentation process produces a liquid with about the same alcohol content as wine. So still a fair way to go to get Tequila. 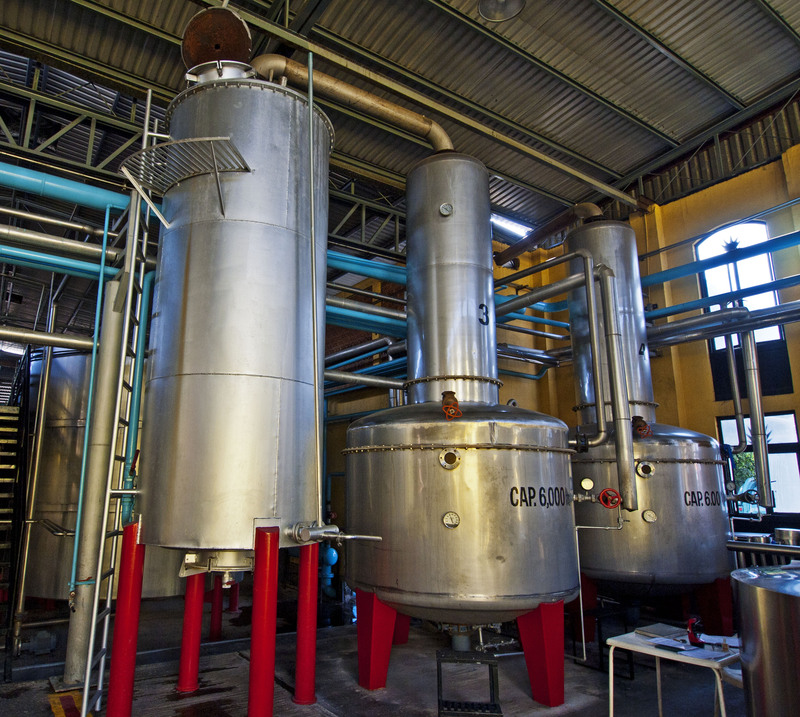 3) This liquid is then transferred to the first distillation process. This creates Ordinario which is 20% alcohol and doesn’t taste very nice. 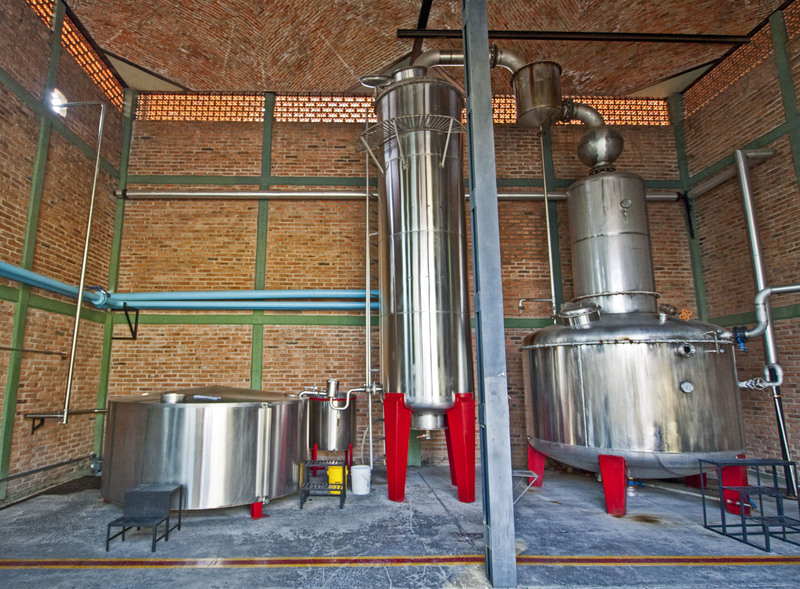 4) The Ordinario is then distilled again in a separate distillation area to create a 45% or greater alcohol content drink which is actual Tequila. 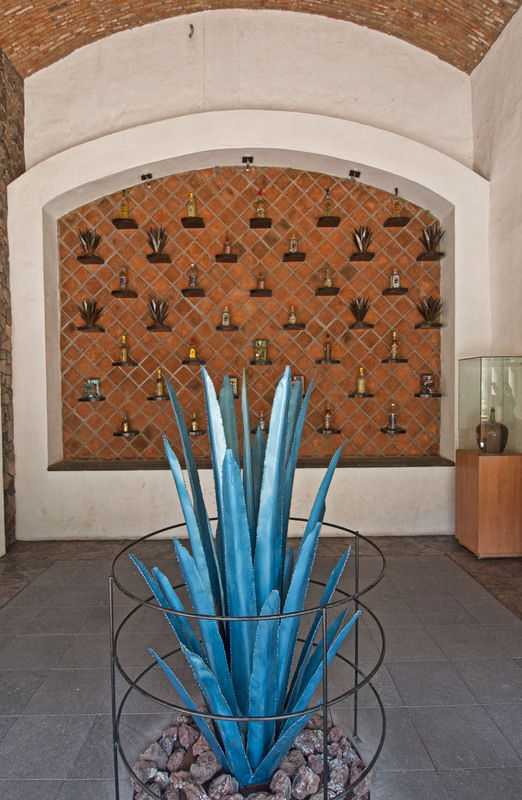 Most final Tequila’s are watered down from this with pure water to make the final drink. 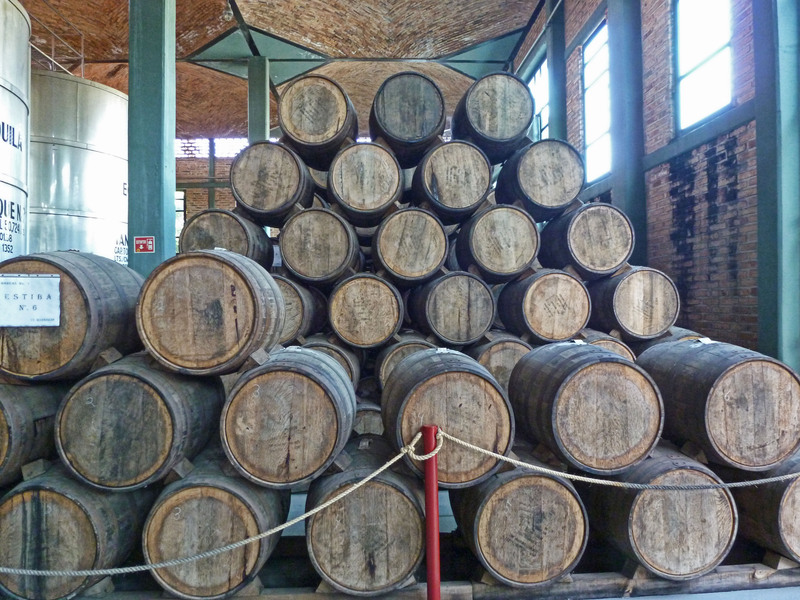 5) (Optional) The Tequila can be aged in wooden casks (usually procured from other spirit manufacturers to give the Tequila some flavour and colour – whisky barrels are preferred). 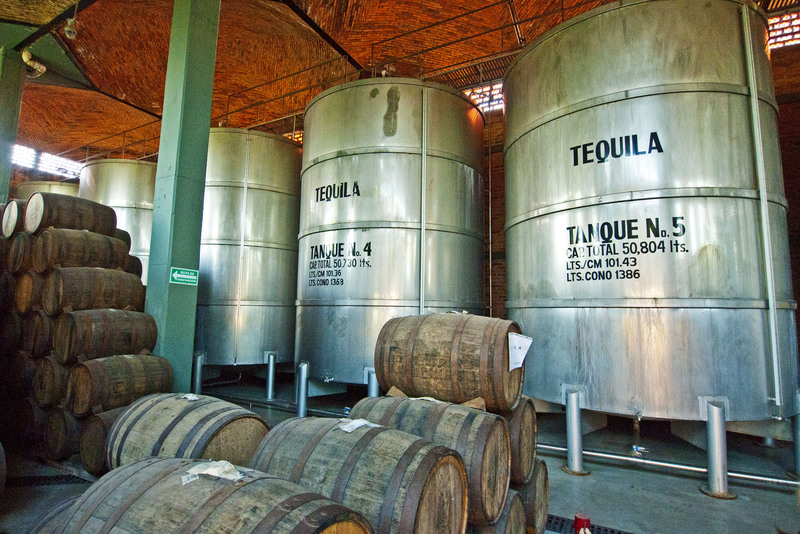 There are a number of different types of finished Tequila product which determines the taste and the quality. Firstly there is Joven Abogado Tequila. This is not 100% Agave and is created using a mix of Agave and other sugars. This is the poorest type of Tequila and the most common in other countries. This is not aged at all and is really quite rough. It is often transported to other countries in tankers and bottled there. This is what gives Tequila a really bad reputation and will also give you a bad hangover. Then we move onto the proper Tequilas. These are all 100% Agave. Look for this on the label when you are buying Tequila. Not aged at all – the purest form of Tequila. Aged in barrels from 60 days up to a year. This gives it a golden colour and a sweeter taste. This is aged for up to 7 years with a minimum time of 18 months. This gives a much darker colour and a really sweet taste. The barrels used to age Tequila cannot be used more than three times as after that the taste that they impart will have worn away. So the key things when buying Tequila are to check it is 100% Agave and that it is bottled in Mexico. 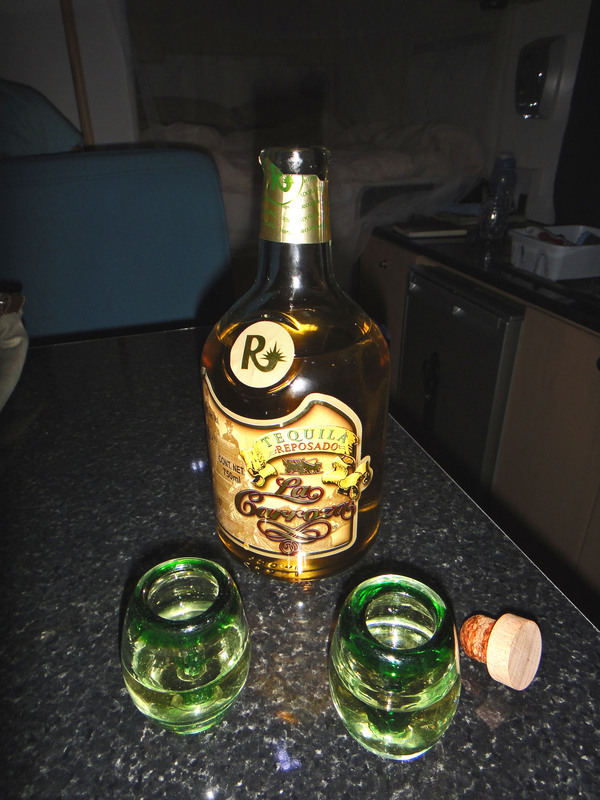 At the end of our tour we bought a bottle of Reposado which has a really smooth taste and I can honestly say is the first Tequila that I have actually liked. 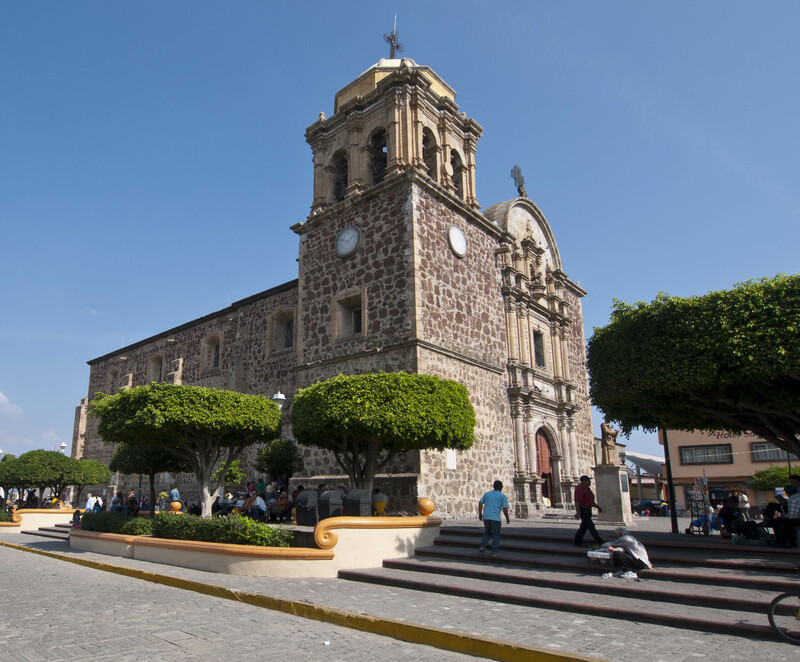 The town of Tequila itself is a Pueblo Magico – so we spent a bit of time walking round the town. We also had lunch here in a small local cafe where the cooking was done on table in the restaurant on a single burner. We had some really nice Tacos here and drinks for the princely sum of Mex$70 (USD 5.40). 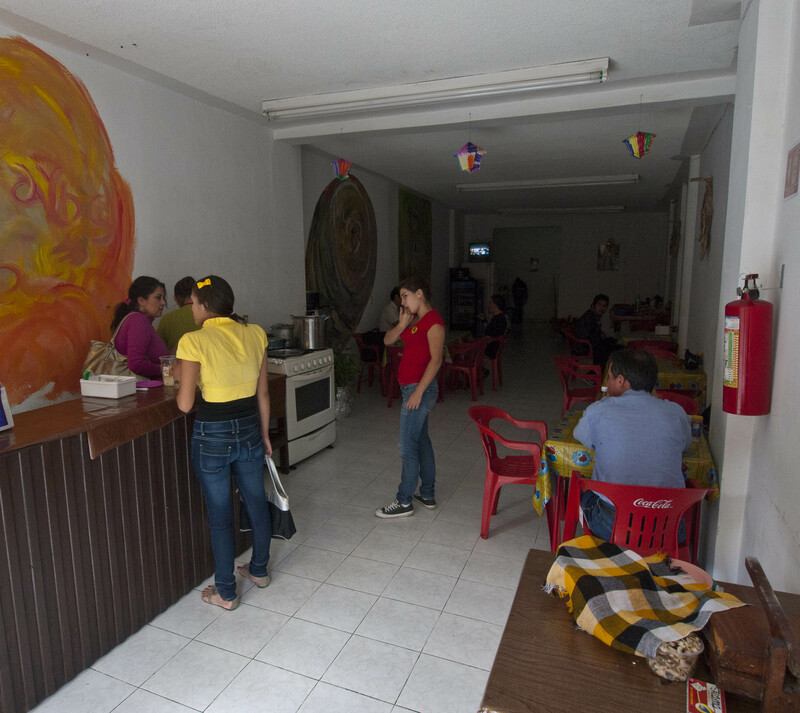 We have been pleasantly surprised at how inexpensive it is to eat out in Mexico.